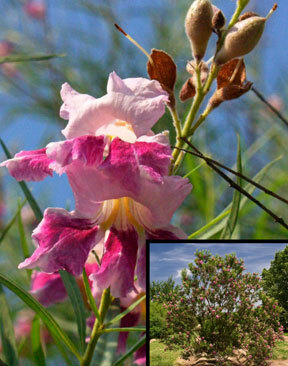 A large shrub or small tree, Desert Willow are usually multi-stemmed with narrow, willow-like leaves on arching to slightly weeping branches. Clusters of bell- shaped flowers in white, burgundy or pink bloom in late spring and sporadically later in the season. Prefers well drained soil. 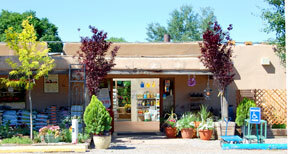 Very drought tolerant once established and has excellent wind resistance.